As widely reported, some three dozen faithful died and over 100 were injured in terrorist bombings at two Coptic churches in Egypt on Palm Sunday—April 9, 2017. Over two dozen people were killed and over 70 were wounded by an explosion at a Coptic church in Tanta. Within hours, a second bombing at Alexandria’s Saint Mark Cathedral left at least 11 people dead and 30 injured. His Holiness, Tawadros II, Pope of Alexandria and All Africa of the Coptic Orthodox Church, was in the cathedral at the time of the explosion but was not injured. In response to these latest tragedies, His Beatitude, Metropolitan Tikhon, sent a letter of condolence, dated April 10, 2017, to Pope Tawadros, the text of which appears below. A PDF version is also available. During these days when we walk with our Lord Jesus Christ on the way to His voluntary Passion, we are filled with great sorrow at learning of the tragic news of yet another atrocity perpetrated against the innocent and peaceful Orthodox Christians of Egypt. The constant violence which targets our brothers and sisters in the Middle East is always unbearable, but the pain is even more acute when it happens at the sacred time that we celebrate the Entrance of the King of Peace into Jerusalem. On the very day when the children welcome our Lord‎ and Savior Jesus Christ with shouts of praise and joy, we find ourselves mourning the loss of life of innocent children, women and men. 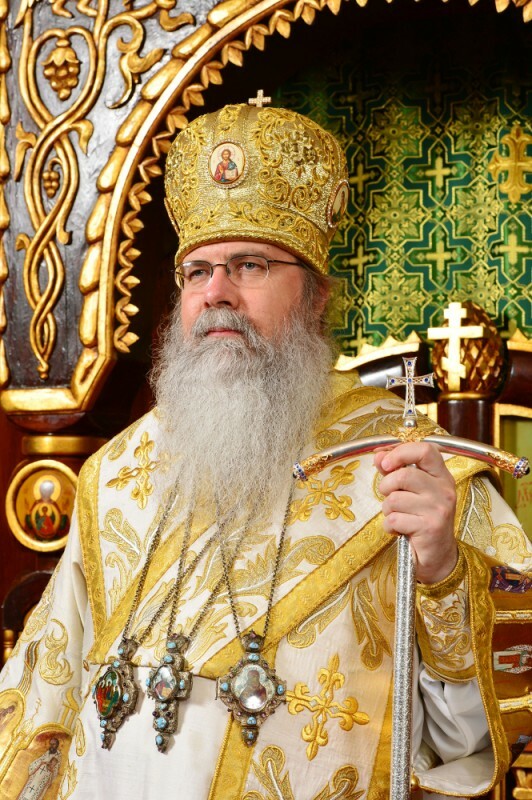 The bishops, monastics and faithful of the Orthodox Church in America mourn with Your Holiness and the clergy and faithful of your land. We also offer our most sincere and heartfelt condolences for those who lost their lives, and our prayers for comfort and recovery of those injured. We are at a loss to add anything more than the words of the Apostle Paul read on the Feast: “The Lord is at hand. Be anxious for nothing, but in everything by prayer and supplication, with thanksgiving, let your requests be made known to God. And the peace of God, which surpasses all understanding, will guard your hearts and minds through Christ Jesus” [Philippians 4:5-7]. May these words of peace be a reminder of the promise of the eternal Paradise into which we shall all enter through the destruction of Hades and death through the Cross and Resurrection of our Lord, God and Savior, Jesus Christ.